The Superintendent of Schools will draft a new inclusion policy for the Board of Education to review. The Board of Education is endorsing the “Bowker Creek Blueprint”, a 100-year action plan to restore the Bowker Creek Watershed. The CRD is aiming to restore above-ground sections and widen the creek corridor with gradual and curved banks to prevent flooding. 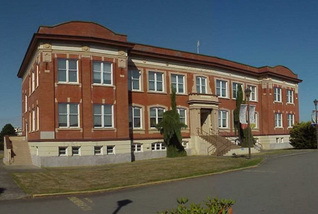 Oak Bay High students have been hands-on in the restoration initiative. In the fall, students removed invasive species and replanted native species to help restore the area near their school property. Victoria will host the Canadian Francophone games in 2020. The Francophone Games offer an opportunity for youth to participate and compete in three categories: arts, sports and leadership. The organizing committee is seeking support from the school district to provide housing and hospitality for participants. As well, the District is being asked to provide venues for various events. The Board has requested staff explore suitable accommodations and event venue options. A detailed proposal that outlines facilities use and a financial analysis have also been requested for Trustees to review before making a final decision. The Songhees First Nation is bidding for the 2020 North American Indigenous Games, where close to 5,000 athletes could be competing and staying in our city. Last night, Trustees voted in support of housing participants in the North American Indigenous Games in our schools. The Superintendent will work with event organizers to find spaces in our facilities where students can be housed on a cost recovery basis. The Board of Education has directed the Policy Sub Committee to develop a policy on “pets” in the classroom that takes into consideration the well-being of animals in case of an emergency. In January, the BC SPCA wrote a letter asking the District to develop an emergency management plan to ensure the safety and good welfare of all animals in a school. The Policy Sub Committee will explore the options and bring back their findings to the Board. The District’s Regulation 6163.6 Animals in Schools was last updated in February 2012. Animals are currently included in our emergency evacuation plans.